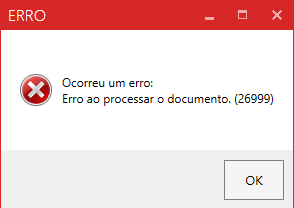 Hi, when trying to convert my PDF files to PDF/A I keep getting this error message in the end of the convertion process and no mather how much research I do I can't find anything about this error and how to solve it. Could anyone help me? do you only get the error when converting to PDF/A, or do you also get it if you try to convert the exact same file to a “regular” PDF? If the original PDF has any security restrictions, Ghostscript won’t allow redistilling it to PDF. Yes i can convert my PDF file to a “regular” PDF, it doens’t give my any error message. Are you using PDFCreator freeware or one of the paid editions? While they mostly have the same functionality, the PDF to PDF/A conversion is handled by different components in the free and paid editions of PDFCreator, so it might be wortch checking if only one of them has this issue. We also have this same issue. I earlier identified it wrongly as only affecting when printing a subset of pages, but that was because we mostly use PDFCreator (free) to split PDF:s into smaller bits, and almost never to just print the whole PDF document (except when printing from another program, for example Word; printing from Word to PDF/A still works fine)… I just checked it again after installing version 3.1.2 (as the problem started happening on 3.1.1), and noticed it always happens when printing PDF/A:s.
As this behavior started after 3.0.2 (where it worked flawlessly), it should not have anything to do with the security restrictions, unless Ghostscript changed in that regard since 3.0.2. The way i've been trying to convert my PDF files to PDF/A is oppening a PDF file, going to the print part and sellecting pdf creator as the printer, the program then proceeds to open and do the conversion (and then it gives the error that of this topic). However i've recently found out that I can convert my PDF files without the error by oppening the PDF creator app and then dragging the file to the app and it converts with no problem. thank you very much for this additional information, it narrows down the potential issue quite a bit. If you print the PDF to the PDFCreator printer, it will first get converted to Postscript, which Ghostscript will then convert to the target out put format, in this case PDF/A. If you drag and drop the file onto the PDFCreator GUI, it will directly convert it from PDF to the target output format. It might take a while to figure out how to fix this, since Ghostscript is more or less a black box . I’m also facing this problem. By looking at trace files I noticed that the error is during the final stage of the conversion. 2018-02-22 16:50:28.7252 [Debug] 10528-15 () pdfforge.PDFCreator.Conversion.Processing.ITextProcessing.StamperCreator.DoCreateStamperAccordingToEncryptionAndSignature: Started creating PdfStamper according to Encryption. 2018-02-22 16:50:29.2570 [Trace] 10528-15 () pdfforge.PDFCreator.Core.Workflow.JobRunner.LogOutputFiles: Created 1 output files. 2018-02-22 16:52:16.9288 [Debug] 1904-11 () pdfforge.PDFCreator.Conversion.Processing.ITextProcessing.StamperCreator.DoCreateStamperAccordingToEncryptionAndSignature: Started creating PdfStamper according to Encryption. 2018-02-22 16:52:20.4082 [Error] 1904-13 (ProcessingThread) pdfforge.PDFCreator.Core.Workflow.JobInfoQueueManager.ProcessJob: The job ‘Einspruch’ terminated at step Error and did not end successfully. replaced Ghostscript subfolders (Bin and Libs) with GS version 9.19 and I can successfully create PDF/A. With version 9.22 (bundled within PDFCreator 3.1.2), GS 9.21 and 9.20 I get the error. Unfortunately, the previous GS versions all have some kind of issue, so we can’t move back to one of those. At first sight, it looks like actually not Ghostscript but rather iText is failing here, which doesn’t seem to match your observations. So most likely it is a combination of Ghostscript creating a PDF file which iText can then not properly update. We will need to have a more detailed look at this. Paid PDFCreator editions now use pdftools instead of iText, so the issue probably only affects the free edition. Do you also get the error when you drag&drop the PDF onto a PDFCreator window instead of printing it? I confirm you that I don’t get the error if I drag&drop the PDF. Problem (PDF -> PDF/A-1b) confirmed for PDFCreator free v3.2.1 Build 13159 @ Win10 Pro x64. Only works if I use the PDFCreator GUI. Got the same problem whene I try to print a PDF to PDF/A-1b or PDF/A-2b (v3.2.2 build 13517). Can we have the confirmation that paid version is working ? Is PDFCreator team is working on a solution for Free version ? the business (not Plus) version of PDFCreator uses pdftools for ensuring the PDF/A compliance, which doesn't have any known issues. Leave the part after PdfFile blank as PDFCreator will automatically attach the path of the created document to the arguments. The issue will eventually get addressed in PDFCreator free but it isn't a high priority issue, so it could take a few months until it gets looked at again/fixed. can you write all steps needed? I tried all morning but I can not, how do you exactly? what are the steps? 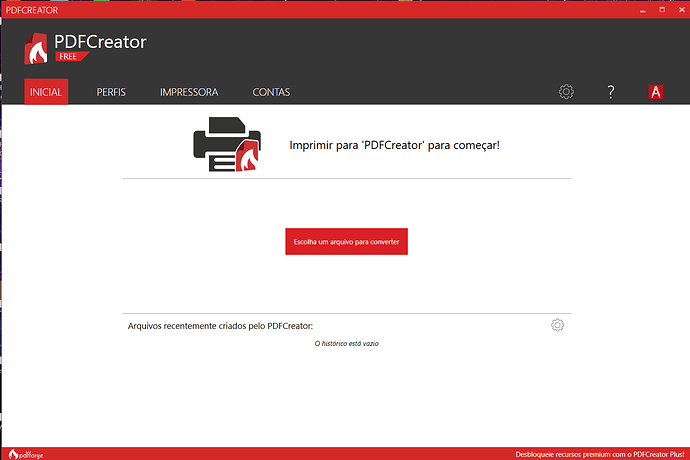 Create a new profile, lets call it "autoprint"
use the PDFCreator.exe as "Script file"
Many thanks Robin, but these are exactly the same steps that I did, these settings create the pdf file in the temp folder, but it seems that it does not run the script to do the pdfa. Everything stops there. 2018-06-26 18:52:21.5939 [Error] pdfforge.PDFCreator.Core.DirectConversion.DirectConversionBase.TransformToInfFile: Launched job without file.